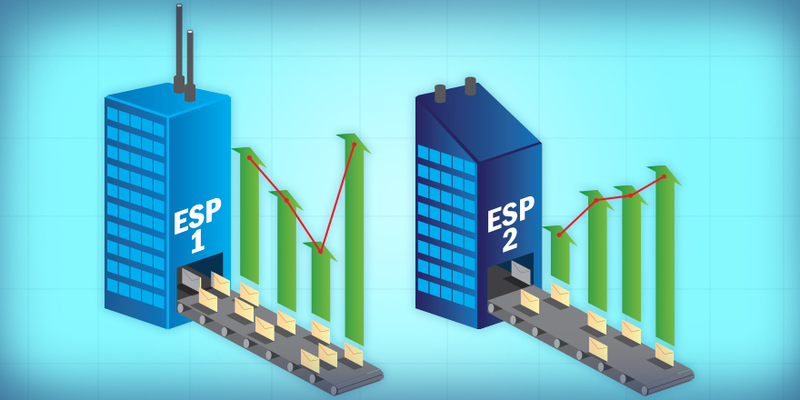 Which ESP should you choose? Lack of sophistication – inability to do advanced segmentation, etc. Inability to personalize content for more targeted mailings – lack of data such as demographics, behavior, geolocation statistics, etc. If you’re dealing with one or more of the problems above, you’re probably losing market traction or losing money, or both. But take heart! It’s a sign that you’re ready to graduate to email for experts. You can make huge improvements to your email marketing campaigns – and the results you get from them – by upgrading to a solution with advanced features, functionality, and reporting capabilities. Once you make the move and start taking advantage of these expanded features, your ROI is practically guaranteed to skyrocket. However, before you start investigating new solutions, you must thoroughly assess your current ESP and determine what you need from the new one. I recently spoke with R.J. Phipps, Net Atlantic’s Vice President of Customer Success, about key questions you should keep in mind as you embark on your search for a new ESP. R.J. stressed the importance of having a clear understanding of your requirements. This will make it much easier for you to decide which ESP is right for your organization. He also recommends gathering both strategic and tactical information so you can thoroughly evaluate your options and make sure you’ve covered all the bases. What is your organization’s most significant email marketing challenge? Who do you need to involve in the decision making process? Which technologies, resources, or business dependencies need to be considered? What are your short- and long-term strategic objectives for email marketing? What are the technical/service limitations of your current ESP? What frustrations or pain points are you experiencing with your current provider? What kind of data do you need to support your email marketing efforts? Would you prefer to obtain data ad hoc, or receive automated reports? What are the key metrics you use to measure the success of your campaigns? Can you take action on the data you receive to improve your campaigns going forward? How many active subscribers do you currently have? What are your goals for growing that number? What’s the average number of emails you send at one time? How many messages do you typically send in a month? How are your emails triggered or timed? What challenges are you experiencing in your current deployment process? Is your current program integrated with any third-party solutions (i.e., CRM systems, etc.)? If so, who and for how long? What is your level of integration? Which of your resources are dedicated to supporting your email marketing program? How many hours are dedicated to campaign development, deployment and management? Who initiates, requests and/or approves content, offers, etc.? Who is in charge of ensuring CAN-SPAM compliance? Are you OK with bare-bones support (online database or chat only) or do you need full-service support? Will you need extensive training or do you have enough expertise in-house to get up and running with minimal help? It’s our hope that these questions will help make the search for a new ESP – and better email marketing results – easier and more successful for you. Did we forget anything? Let us know in the comments below!